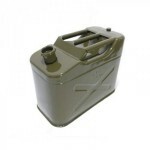 Fuel tank is an indispensable car item in our daily life. Especially when you are outdoors, you need to prepare sufficient fuel in advance. Therefore, a fuel tank is of great significance. To ensure great durability and safety, we highly recommend you this 10L Iron Cap 0.8mm Cold-rolled Steel Petrol Diesel Can Gasoline Bucket Square Fuel Tank 3 Handles with Deflation Valve & External Oil Pipe. Designed with 3 handles to save labor when you lift the tank. 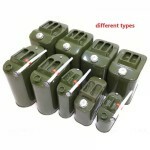 It is made of superior cold rolled steel, durable enough for use. 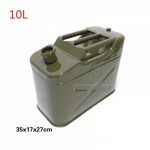 Large capacity for storing plentiful fuel inside. It is really a nice item for each car ower!